Dtc output mode is set by connecting terminals 13 (tc) and 4 (cg) of the dlc3. 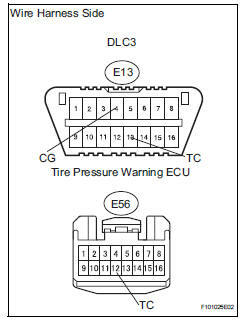 The dtcs are indicated by the blinking of the tire pressure warning light. When each warning light continues blinking, a ground short in the wiring of terminal tc of the dlc3 or an internal ground short in each ecu may have occurred. 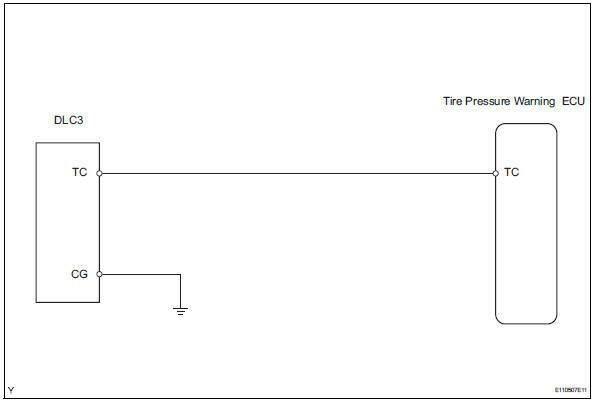 It is necessary to register an id code after replacing the tire pressure monitor valve and/or the tire pressure warning ecu (see page tw-9). Disconnect the e13 dlc3 connector.